Thanksgiving is always on a Thursday. Perhaps we should consider making St. Patrick’s Day always fall on a Friday, because as one of the biggest drinking days of the year, people are bound to be hurting at work the next day. Sure, there are the hangovers, but what many people overlook is the effect that alcohol can have on a person’s sleep, which has a profoundly negative impact on work productivity. This year St. Patrick’s Day falls on a Monday — eeech! Alcohol changes pathways in our brain, thus influencing the way we think and behave, as well as our mood. Alcohol depresses the central nervous function, and effects range from reduced reaction time, and muscle relaxation to loss of consciousness, depending on how much you drink (a blood alcohol level of 0.08 is considered legally drunk). Shortened falling asleep time (sleep latency). Increased awakenings during the second half of the night. Awakening from sweat caused by intense dreaming. Alcohol has a negative impact on ventilation during sleep. Thus snorers who experience Obstructive Sleep Apnea may have it worse after drinking. With alcoholics, sleep maintenance and efficiency are low, and they usually see decreased deep sleep and REM. Even after prolonged abstinence, sleep tends to be poor, and it may take years to get back to normal sleep in parallel with recovery from alcoholism. Many surveys indicate that insomniacs may use sleeping pills and alcohol to aid sleep. The problem with this is that interaction between sleeping pills and alcohol presents a danger of over-dosage, daytime drowsiness and poor sleep quality. Additionally, this combination can be addictive, even when alcohol and sleep aids are taken separately, and deadly in other cases. While we don’t encourage excessive drinking, we also certainly don’t want to dampen spirits or discourage people from having a good time. The good news is that we’ve developed the tools to make it easier and more affordable than ever to train yourself to get a good night’s sleep. If you’re having trouble sleeping, pay us a visit at sleeprate.com. 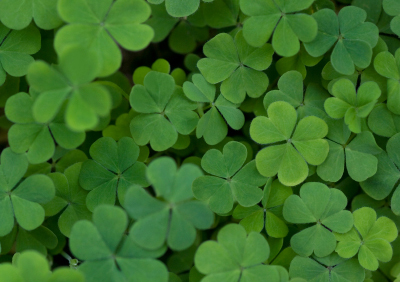 And may the luck of the Irish be with you!